In the past you may have received Advances, our annual newsletter, which detailed the wonderful philanthropy benefiting the LSU AgCenter and the College of Agriculture. This publication will take its place, and while it will continue the tradition of Advances, it will offer so much more. 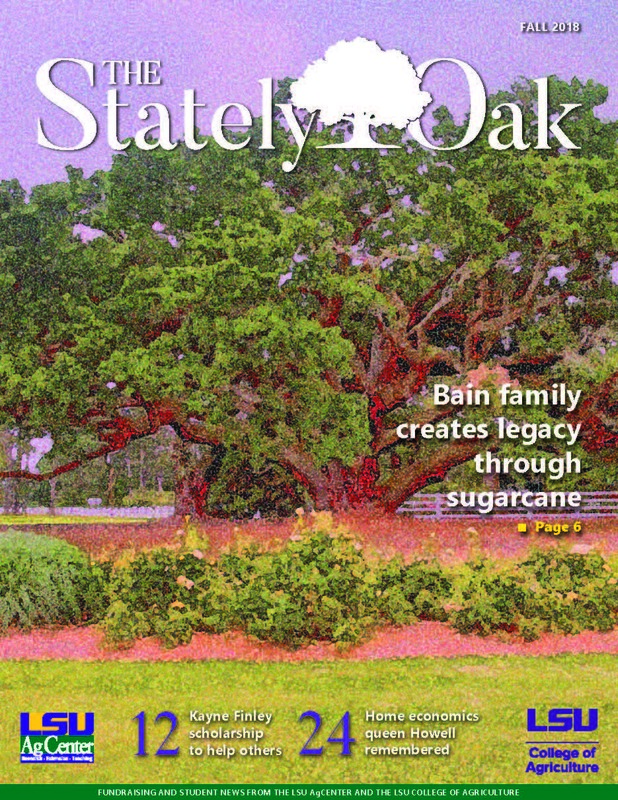 I hope you will enjoy the stories in The Stately Oak and that they will help connect you to the strong roots of agriculture in Louisiana.